1964 built John Fowler 0-6-0 4240016 stands in the autumn sunshine in Toddington Yard on the Gloucestershire Warwickshire Railway on 10 October 1992. 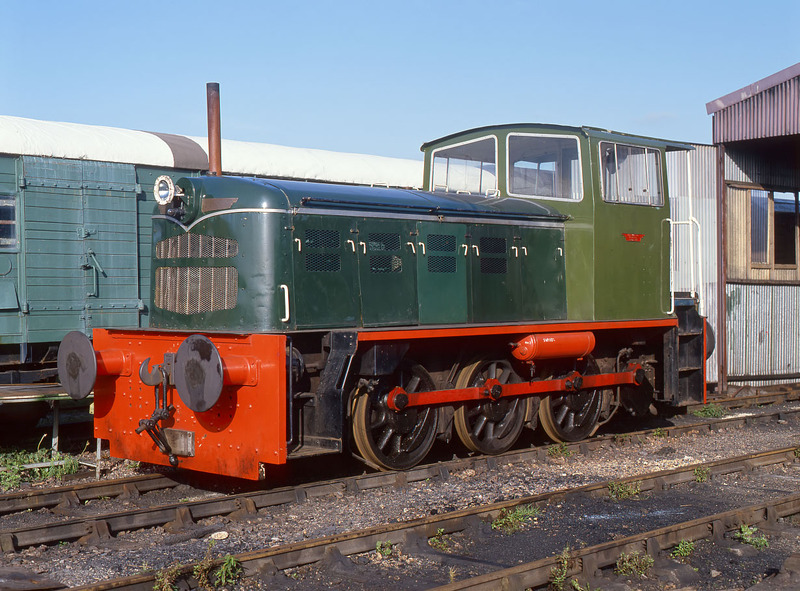 This loco which is referred to as number 19 by the GWR permanent way department is a little fickle with regard to liveries. Here we see it in its original green livery. Shortly after this picture was taken it was repainted into all over maroon. It has now reverted to green once more.